Expert crafted OER re-creation of the deluxe interior steering wheel assembly for 1968 Camaro, Nova, Chevelle. This wheel includes the correct spider style brushed chrome insert, Available in black only. 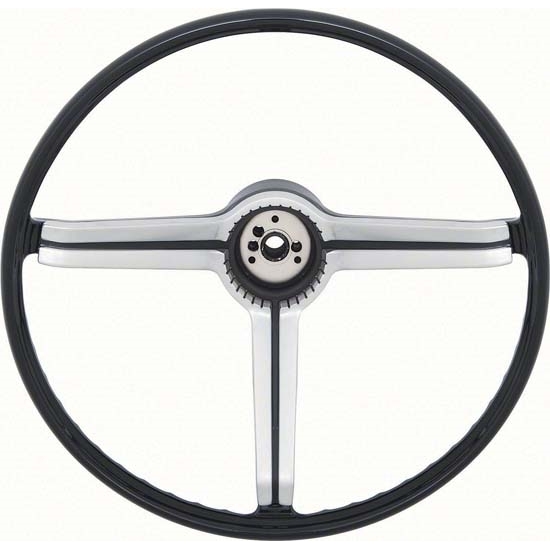 This is an exceptionally good quality reproduction and will bring back your steering wheel look to showroom condition. Horn button sold separately.